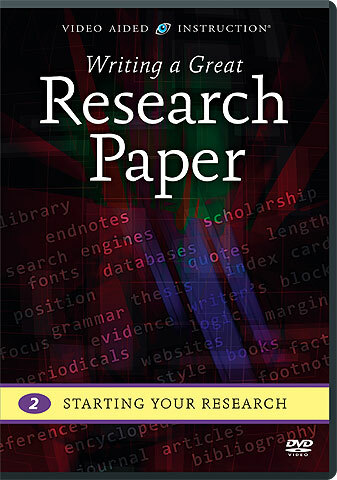 Starting Your Research on ! 1 DVD · 1 hr. 33 mins. What better way to start a research project than at the library? Public and school libraries are incredible treasure troves of information, but locating the right resources can be tricky. This outstanding program will teach you how to form a research plan, begin your background reading, and develop a preliminary bibliography — so you can find better materials in less time!